Being a parent isn't easy but there are many products out there that are intended for easing this whole process. Every parent wants to keep their baby safe, healthy and happy. Even though the abundance of baby things does just that, there are definite must-haves, things that are nice to have and absolute no-nos. 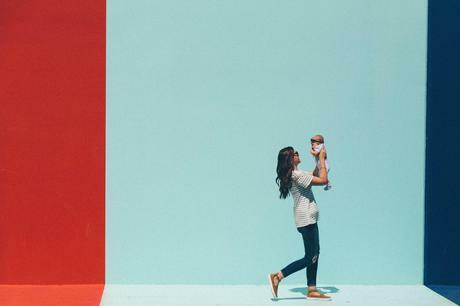 Many of these things are not destined solely for the baby but for the new parents as well, especially moms who spend by far the most time with their infants. So, to all moms out there, we present the absolute must-haves. For the first few weeks of their lives babies only eat, poop, sleep and cry. If you plan on breastfeeding, have in mind that it can be quite a challenging process for new moms. Fortunately, there are a few things that can make this process less burdensome. The first thing on the list is a breast pump. It has to be a reliable one. Moreover, for your and your baby's comfort, you'll need a non-toxic breastfeeding pillow too. The one that is compact and easy to carry will do the job. And for the outs, lots and lots of diapers! It wouldn't be too bad to have dirty diaper disposal. And of course, what every new mom needs: a fancy diaper bag that will serve as her purse, too! Safe and comfortable sleep is very important for a newborn. To achieve this, start with a crib. There are some strict rules concerning babies and their sleep: babies must sleep on their backs on a firm surface, without loose blankets. You can reduce the risk of SIDS by following these rules. There are some optional tips and tricks, such as a sleep sack. Wrap your baby in one of these and keep her safe. These sacks not only swaddle your baby safely but they also help her sleep through the night. If your baby sleeps through the night, it means you'll sleep through the night as well. Since babies are used to hearing the sounds of your womb, some of them will find it difficult to fall asleep without that. Consider buying a white noise machine for your baby to emulate the sounds of your womb. It soothes them. There are quite a few things for moving around you'll need. Let's start with a stroller - the easiest way to get around. The key is to choose an easy, collapsible one intended for when you're on the go. Another essential thing: a baby car seat. You can't even think about moving around without a car seat. 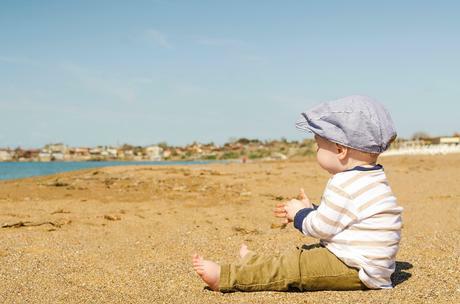 Before you choose the right one for you, make sure to catch up on the latest issued safety standards, since your baby's security and comfort are your number one priorities. Nowadays, there are also lots of combinations where you can attach your car seat to the stroller, so study these options as well. One more thing for moms on the go: a travel high chair. There are many advantages, it's easy to carry around and attach, you can use it everywhere to make your baby sit steadily. As far as linens are concerned, you'll need different ones. Let's start from the crib. Cotton fitted sheets are perfect for your newborn: they don't move around and they are not a health hazard. In order to make your baby soothe and sleep, you'll need a large, lightweight swaddling blanket. Being swaddled reminds the baby of her days in the womb and that's why this system helps them self-soothe. Lots and lots of onesies! Babies get stains all over them constantly. So it's a good idea to have quite a few white onesies for when you're at home, a few fancy ones when you want to show off your precious one. One more thing: burp cloths. Since this cloth will become your fashion accessory 24/7, choose some cute ones to complete your look. But first of all, make sure the cloth is soft, because our baby's skin is very sensitive and absorbent, or that is has a high power of absorbing the spit up. Toys are a good way to keep your baby occupied while you do something else around the house (and let's face it, there's always something to do!) They come in many colours, shapes and materials. 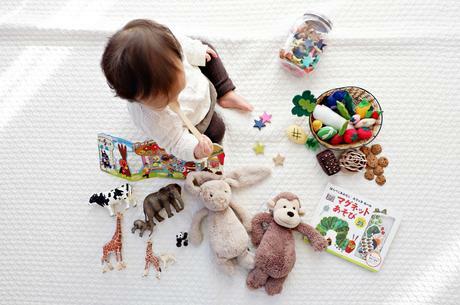 You can choose between a wide range of teethers, rattles clutching toys, plush toys, sturdy books and many others. If you provide these toys for your child, it doesn't necessarily mean it will stay in their hands. Lifesavers are toy straps which you can use to attach these toys to the stroller, high chair or even car seat. When the time of teething comes, you'll know. You will definitely need something to ease the baby's pain. Make sure you choose teething toys which are made of natural rubber and food paint so that they are completely safe. Bouncing on a yoga ball reminds your baby of her days in the womb, so it would be useful to own one of these, just in case your baby needs soothing and nothing else helps. Although this is a very general list of must-haves for new moms, there will certainly be some other things you need. 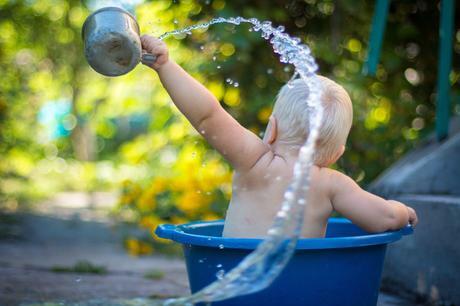 Every baby is individual and has its own, personal needs and preferences besides the basic ones. So, try to understand your baby and don't be afraid to try some new things which might sound funny but will do the trick.